Otaku Janai Ne? : Take An Adventure With Warriors That Are Brave! Sorry guys. No Kids on The Slope review this week. This is the perfect chance for you to catch up on my previous articles (Episode 1 review here, and Episodes 2 through 8 review here) and episodes of the show. Next week will most likely be my final review of the series because I'm nearing the end of it. Instead of anime, I decided to feature an American cartoon today. It is from the creator of Adventure Time. 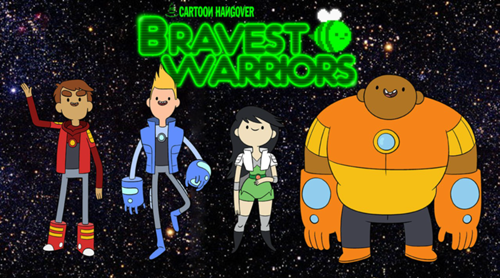 It's time for the Bravest Warriors!!!!! !